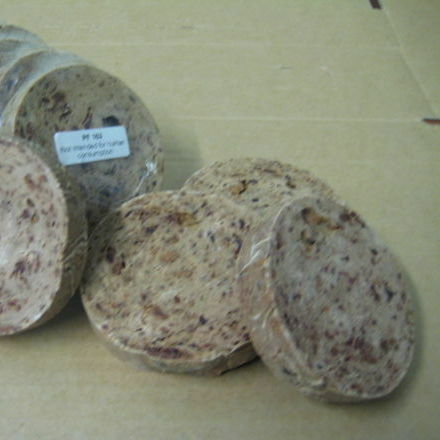 8cm round cookies are made from a mix of Beef and Chicken meat. Can be fed as part of their meal or as a treat anytime. Nourishing and a real favourite. Excellent for their teeth and gums. Packaged in 6 pack or loose.